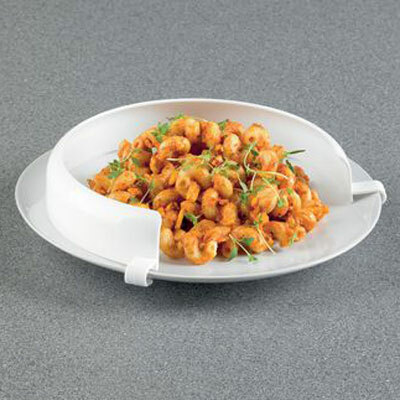 This Incurve Plate Surround is a flexible guard that can be fitted to ordinary plates to assist with one-handed eating. It will prevent food being pushed from the plate when using a spoon or fork on its own to eat; it provides a raised rim to assist loading the cutlery item with food. The palte surround is dishwasher safe. Plate External Diameter 7½" to 10"